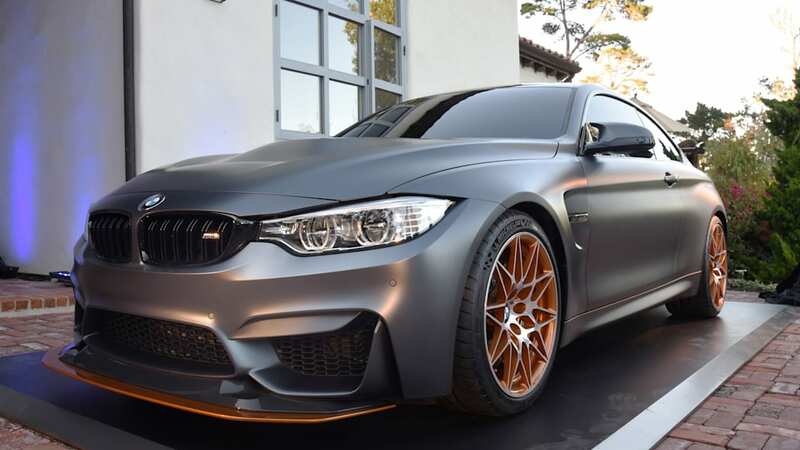 Late last night, we showed you the BMW Concept M4 GTS, one-off production preview fitted with innovative OLED taillights, a water-injection system, and a suite of aerodynamic upgrades. Now, we have live images. These shots come from the scene of the debut, at one of Pebble Beach's numerous palatial estates. 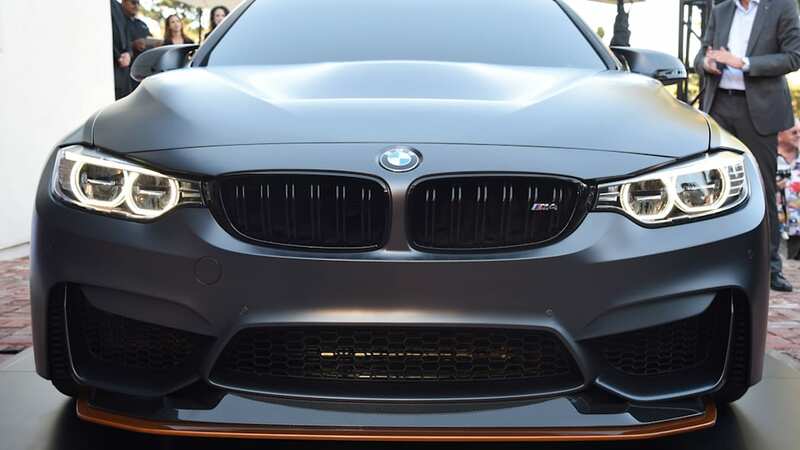 In natural light, we can see the M4 GTS as it really is. Both the Frozen Dark Grey paint and orange accents look far better, with the chin spoiler and wheels featuring an almost anodized appearance. 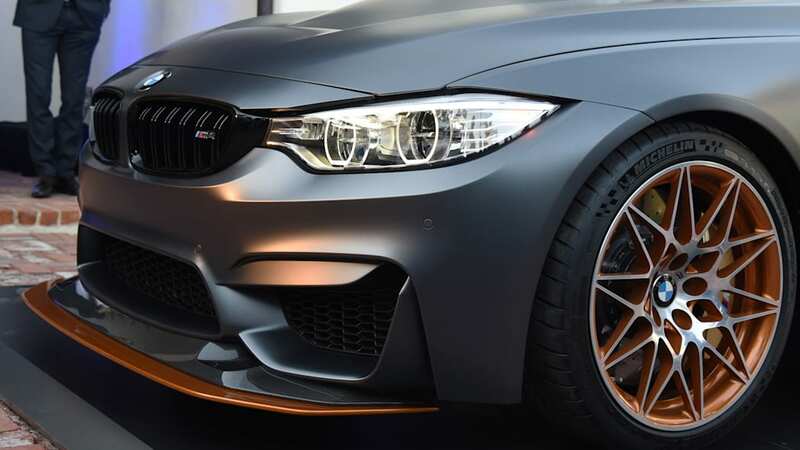 The semi-matte nature of the paint also shows through, giving the Concept M4 GTS a more sinister look. We also remarked last night on the clash between the yellow calipers and orange wheel accents. 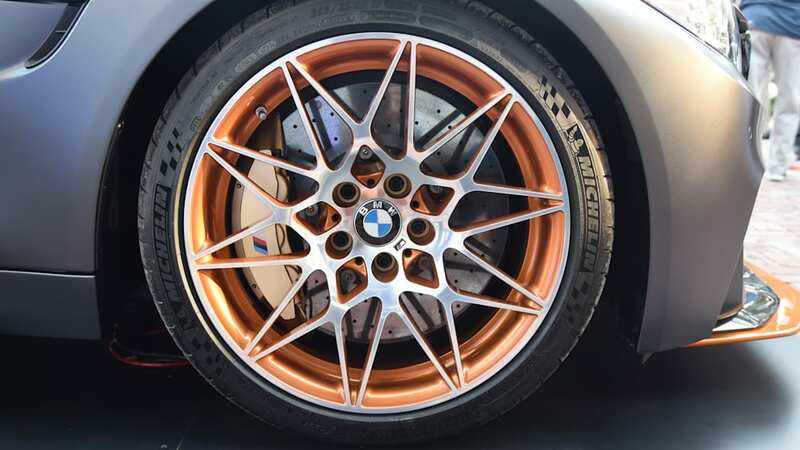 But as the live photos show, the calipers appear more gold than yellow. There's still a pretty harsh contrast between the two shades, but it's better than it looked last night. 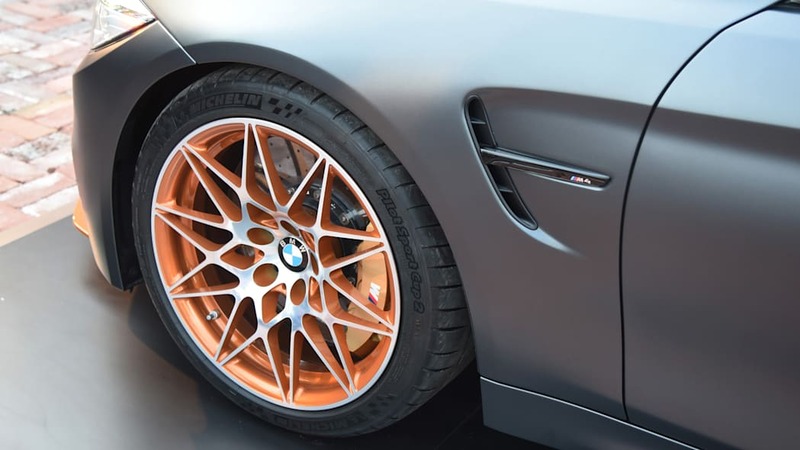 Check out our entire gallery of live images of the new Concept M4 GTS, available at the top of the page. 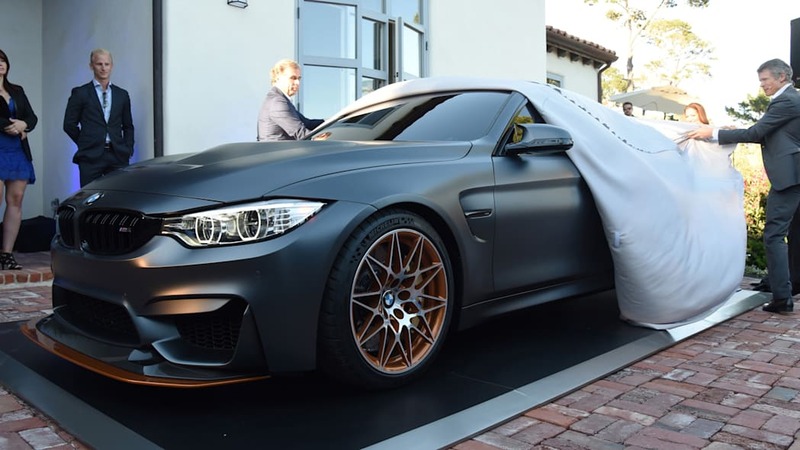 BMW Concept M4 GTS to be Premiered During Monterey Car Week. 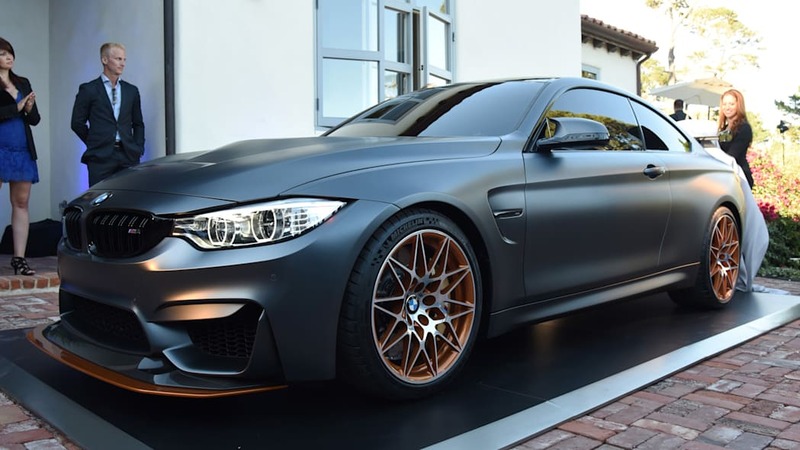 Woodcliff Lake, N.J. – EMBARGO: August 13, 2015 – 9:00pm EDT/6:00pm PDT...A year on from the launch of the BMW M4 Coupe, BMW M GmbH is presenting an initial preview of a high-performance model for use on the road and on the race track: the BMW Concept M4 GTS – the first M3/M4 special production vehicle to be sold in the US. The BMW M GmbH was founded in 1972 as BMW Motorsport GmbH and caused a sensation with its iconic BMW M1 racing car. 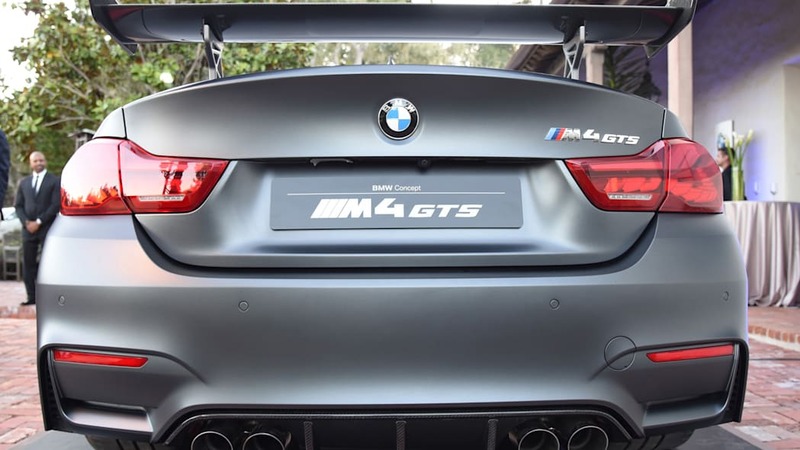 As the force behind the world's most successful racing touring car, the Group A BMW M3 and the development of the first turbocharged engine to win the Formula One World Championship, the BMW M GmbH return to its racing roots with the BMW Concept M4 GTS. 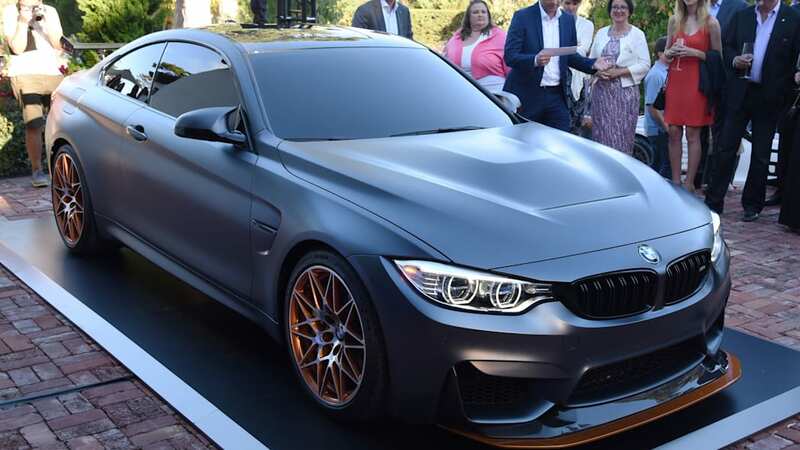 "While the BMW M4 Coupe embodies the ideal combination of motor sport genes and unrestricted everyday usability, the BMW Concept M4 GTS previews an emotionally powerful and exclusive special model conceived with an eye for trailblazing technology and a keen focus on the race track," explains Frank van Meel, Chairman of the Board of Management of BMW M GmbH. "Despite its outstanding track ability, it is still fully road-legal. 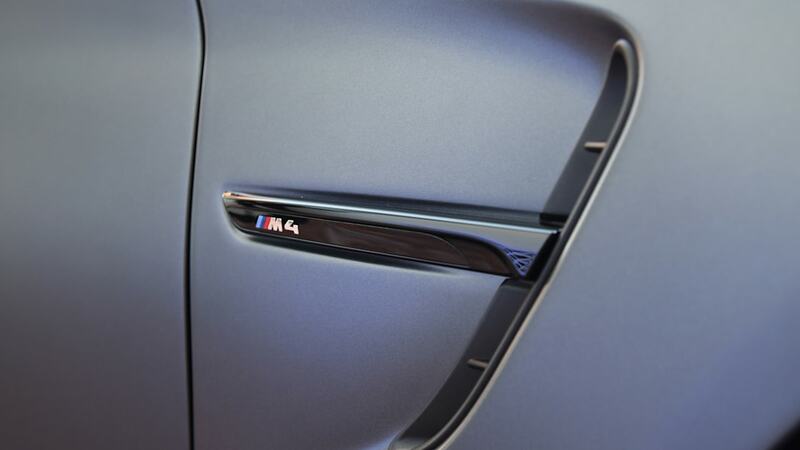 This is racing technology for the road in the truest sense." 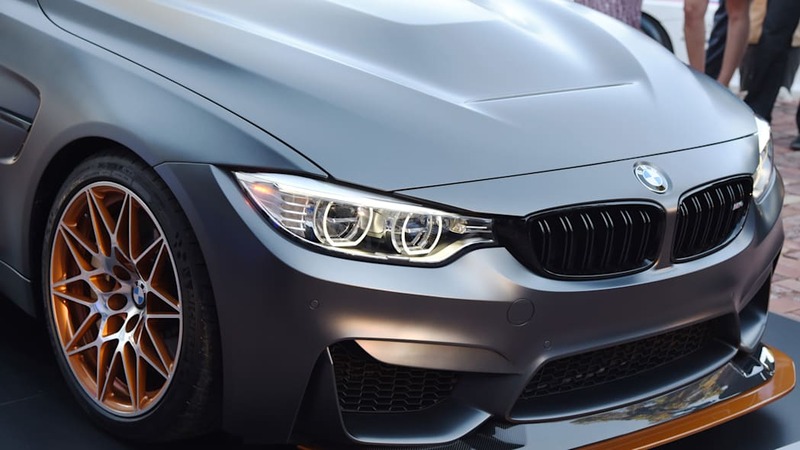 The BMW Concept M4 GTS builds on the BMW M4 Coupe's dynamic and emotional use of forms. Yet its character as a high-performance special model, in which every detail has been developed to fulfil its purpose as a successful track machine, also comes immediately to the fore. 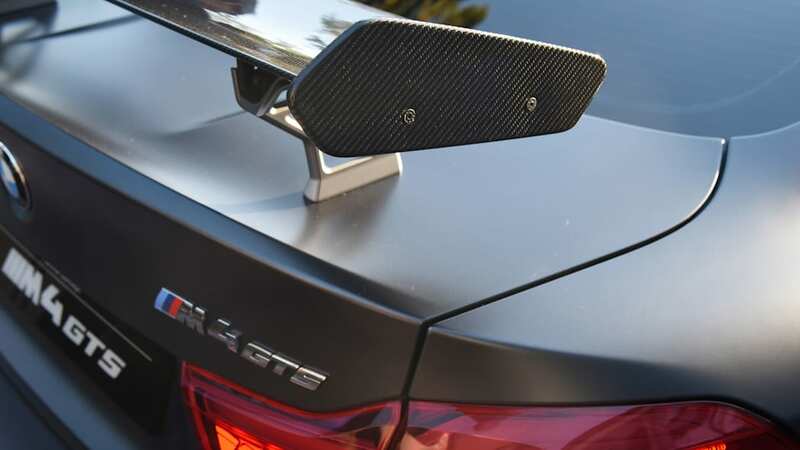 The manually adjustable front splitter and rear wing – both in exposed carbon – ensure perfect aerodynamic balance on the race tracks and on the road. 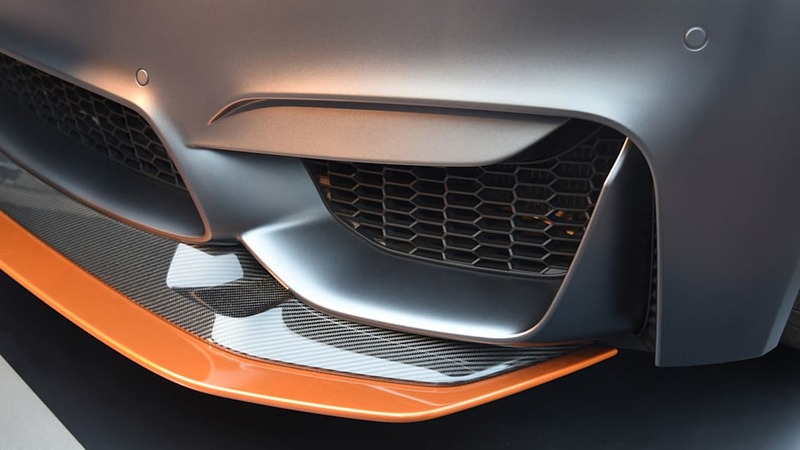 Another example of the engineers' rigorous adherence to lightweight design is the CFRP (carbon-fiber-reinforced plastic) hood which lowers the car's weight and center of gravity. A wide front air intake optimizes airflow and minimizes front axle lift. 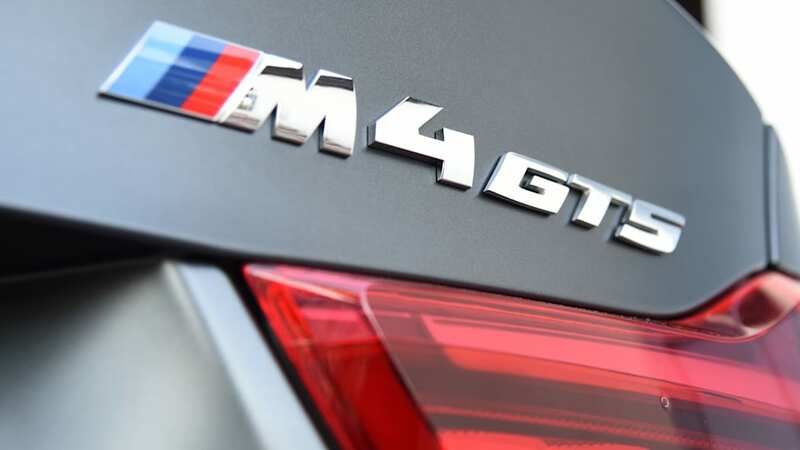 The water injection system introduced by BMW M GmbH sees the engineers using the physical effect of water when vaporizing to draw the required energy from the ambient medium. The water is injected into the plenums of the intake manifold as a fine spray. When water vaporizes and goes through its phase transition absorbs heat, cooling the air intake significantly. As a result, the final compression temperature in the combustion chamber – and therefore the engine's tendency to "knock" – is reduced, enabling the turbocharged engine to use higher boost pressure and earlier injection timing. 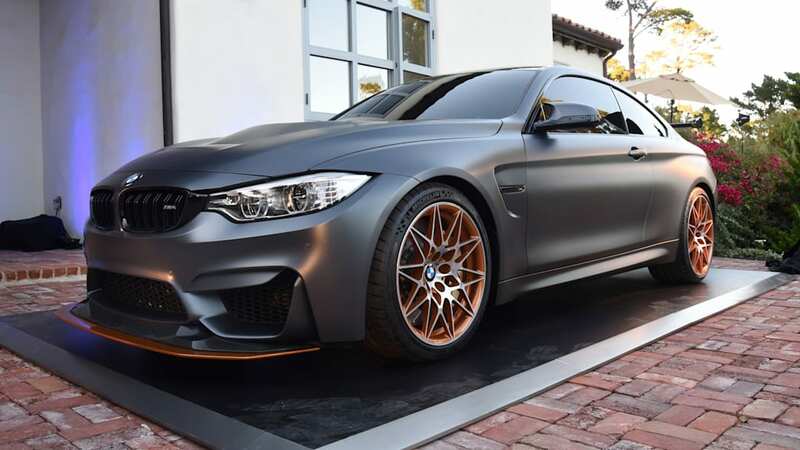 The world premiere of the BMW Concept M4 GTS takes place at the Pebble Beach Concours D'Elegance in Monterey, California on August 13, 2015. More details on the production version will be revealed at a later date.